The country's top business groups on Thursday urged the central bank to cut its benchmark interest rate by at least half a percentage point. 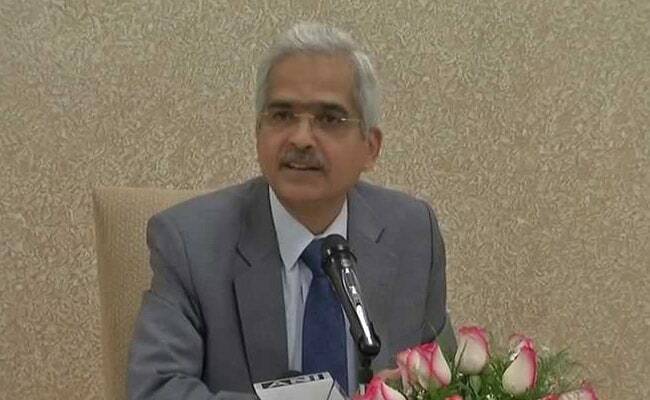 The country's growth story is backed by its strong domestic fundamentals, said Shaktikanta Das. The head of the Reserve Bank of India (RBI) said on Friday he would take the steps necessary to maintain financial stability in the country and help create favourable conditions for growth. The country's economy has grown because of measures such as the nationwide goods and services tax and the insolvency and bankruptcy code that prevents wilful defaulters from bidding for stressed assets, Shaktikanta Das said in his address to an investor roundtable. The country's growth story is backed by its strong domestic fundamentals, he said, citing lower inflation. The country's top business groups on Thursday urged the central bank to cut its benchmark interest rate by at least half a percentage point and lower the cash reserve ratio it imposes on banks. The country also needs to watch out for any sudden turbulence in the global financial market, Mr Das said.